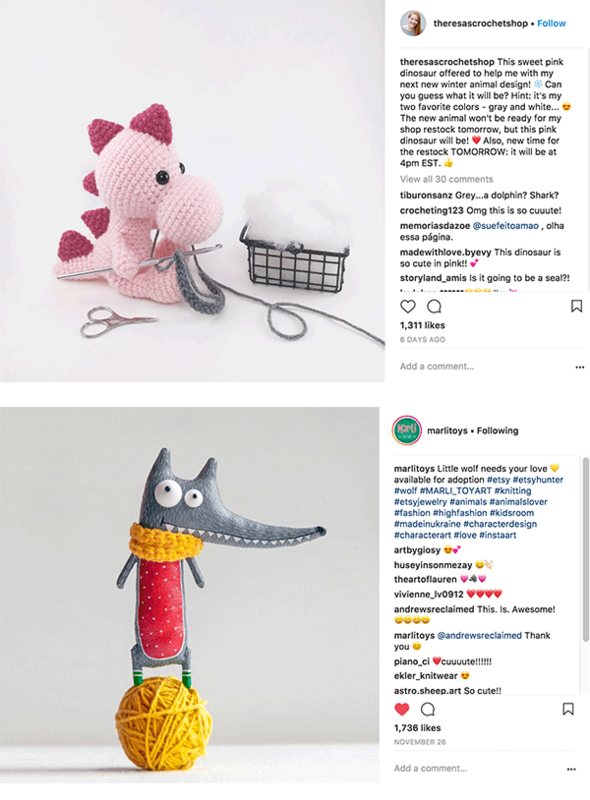 You are here: Home / Product Photography / Should You Use White Background or Lifestyle Product Photography? Today is going to be a hot one! If you are doing product photography should you have plain-jane white backgrounds like on Amazon or should you have lifestyle styled photos? 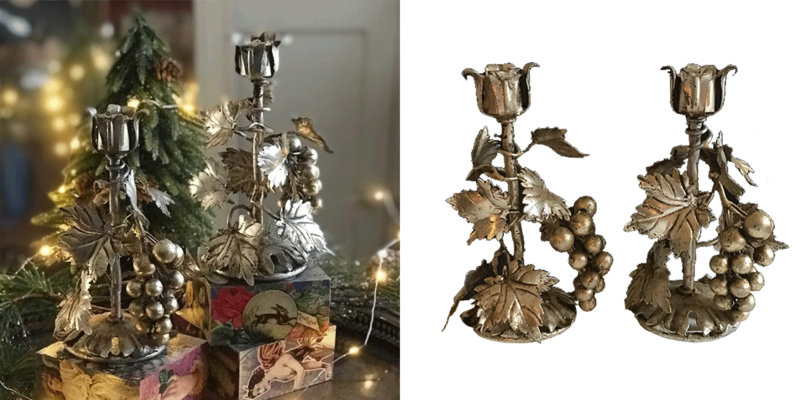 Here is the difference shown super plainly… the left is a stylized lifestyle shot from my instagram account and the right one is the same item on a stark white background, in other words a typical product photography shot! Ebay has just implemented search precedence for white background photos. Makes sense because they have more large companies selling and this will help Ebay look more consistent. 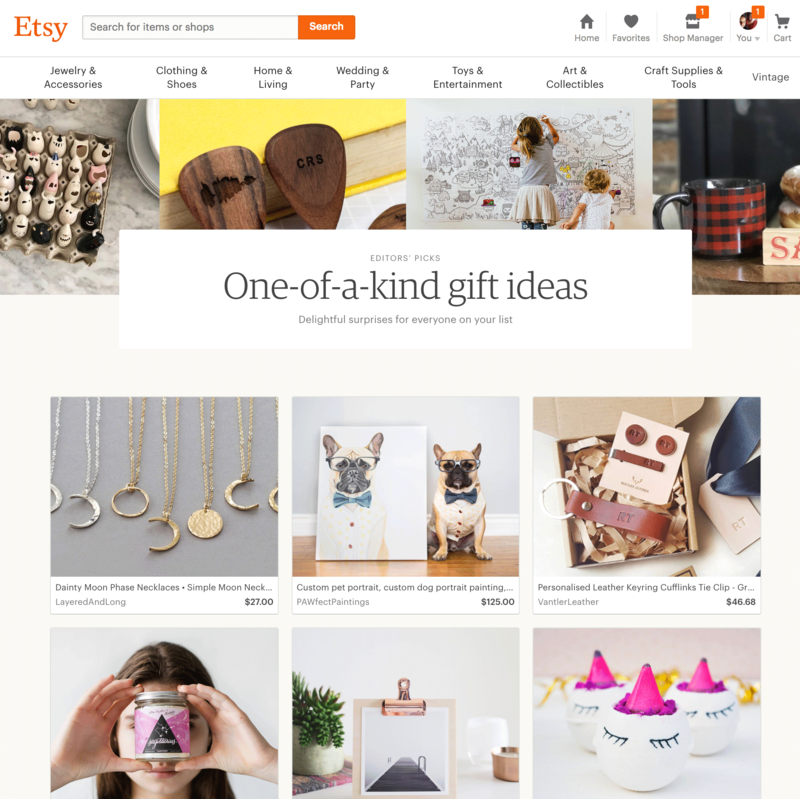 Etsy is way more loosey-goosey about photography and welcomes lifestyle photos… more about this later! 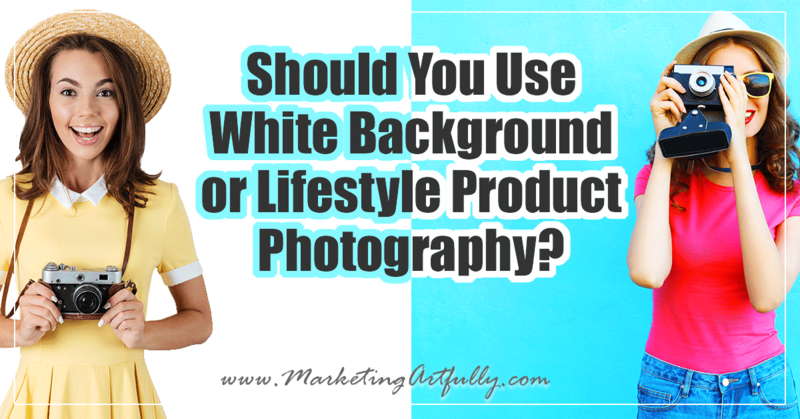 You may want to have white photos on your Woo Commerce or Shopify site too! Stock or mass produced items generally have white background pictures available from the manufacturer. 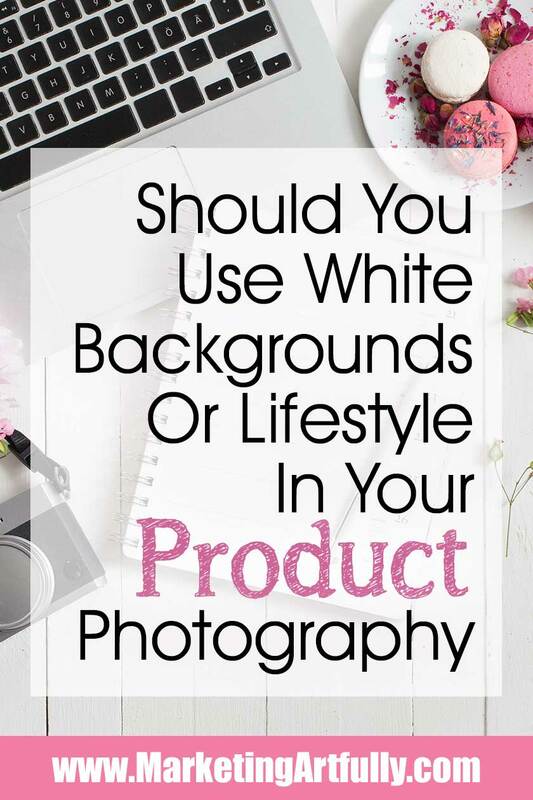 But some other cool products have white backgrounds that do come to mind! For example, say you sell hard copy planners with bright covers, you might want to take a white background shot for your ecommerce store. But what about if you are selling something that is a little more obscure? Having a stark white photo with no points of reference can be a detriment to your sales. If you are selling a business product (think desk chairs), the chances that someone will need to see it “in action” are probably pretty slim. We all know how desk chairs work and can pretty much extrapolate how it will look in our offices. But if you are selling cool tshirts to young hipsters, you may want to consider lifestyle pictures with your tees on young, cute models. Having “mockup” shots will not show how wonderful your tshirts are in person! It is MUCH easier to get a setup that makes taking white photos simple and fast. 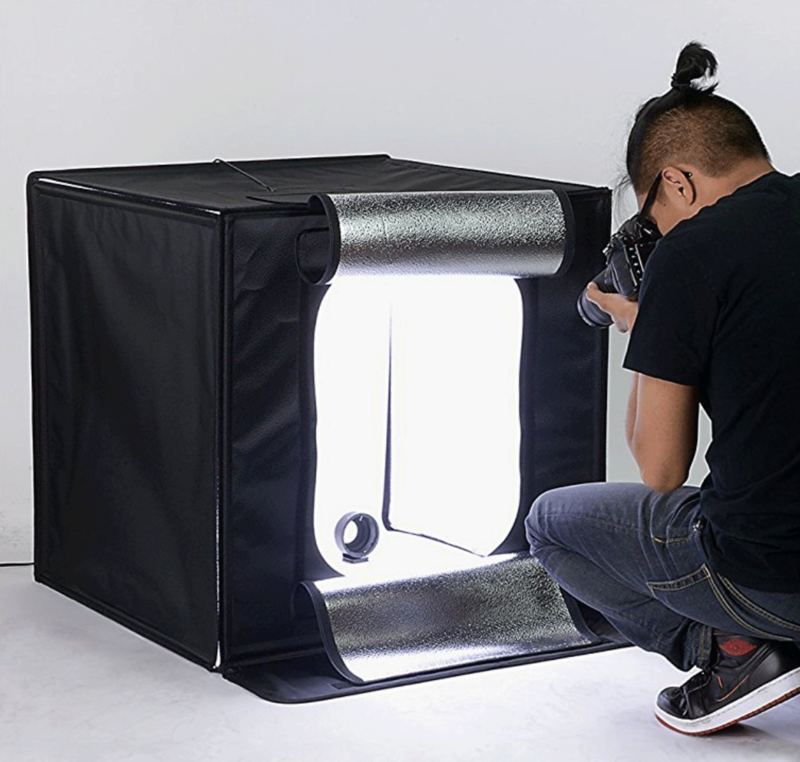 Get a photography light box and you can just pop your product in and snap, snap, snap! 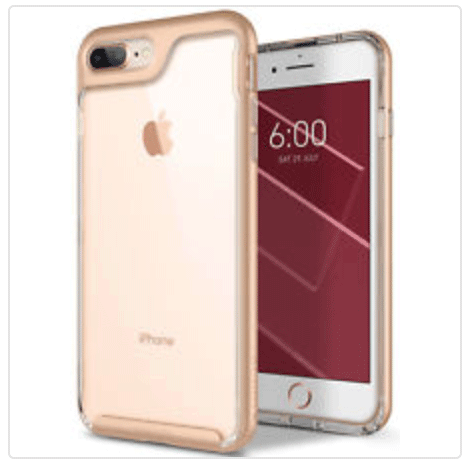 This gives you a great white backdrop for your product photos! There are “lightboxes”out there for $12, please don’t waste your money, spend a wee bit and get one that will make your life easier. If you sell something were colors matter, this is a really good way to take pictures. Say you sell licensed Coca Cola products… getting that red color just right is super important to Coke collectors. Or if you are finding you get a lot of returns because of color, consider taking at least one picture that has the colors calibrated correctly. Forum :: How do I get a consistent White Balance when shooting different color products? When you see a product on a plain white background like this you KNOW it is something for sale. 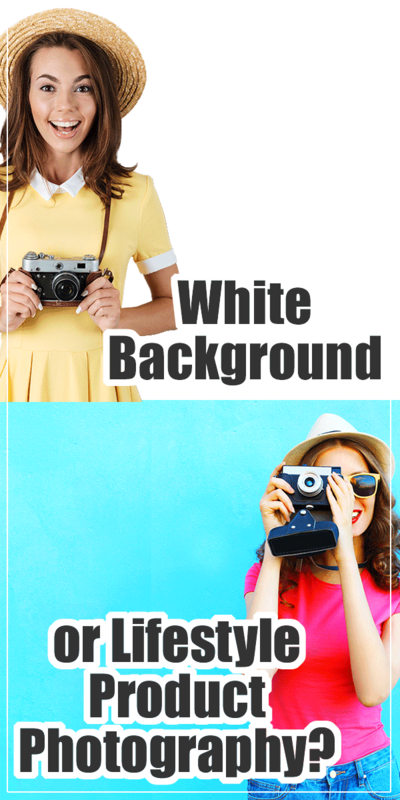 This means that all your white background photos are probably going to be a big turn off on social media sites like Twitter, Facebook and Instagram. If you are selling handmade or custom items, having the same backgrounds for all your pictures is super boring. 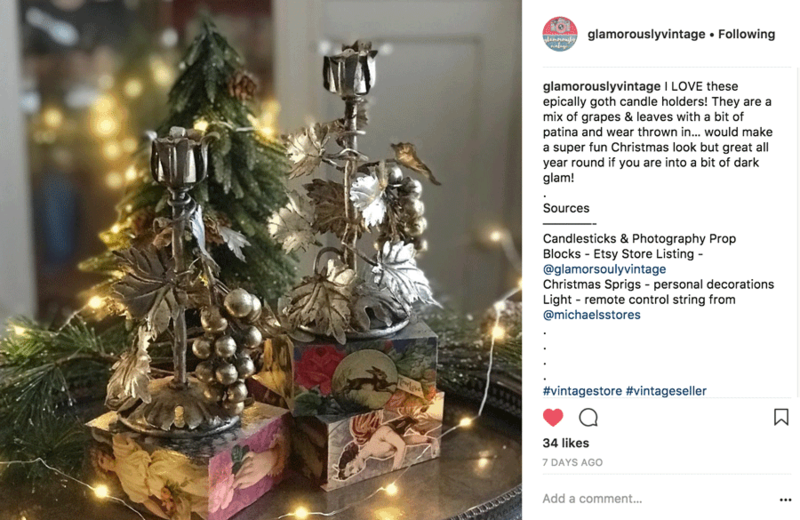 As a handmade or vintage seller, one of the big differences you have is that your items are unique. 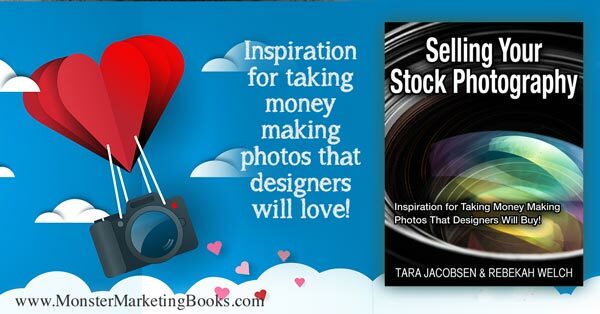 Taking a little bit of time to make your pictures interesting is a great way to make more sales. For this one I didn’t want to pull big names because most of us don’t have tens of thousands of dollars to do professional photo shoots, but we can take cooler pictures! 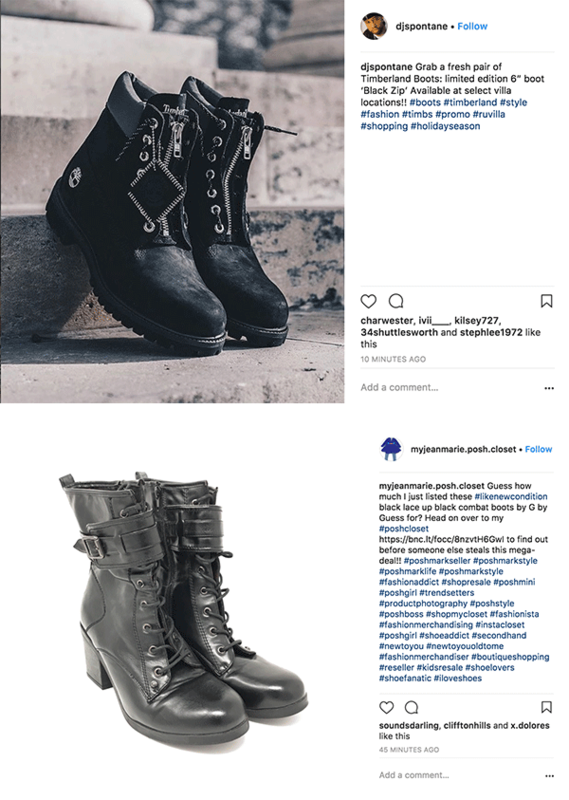 On Instagram, the top boots on the steps would be much more likely to get engagement on Instagram. So for this I wanted to see what the big boys are doing and how their photos stacked up. 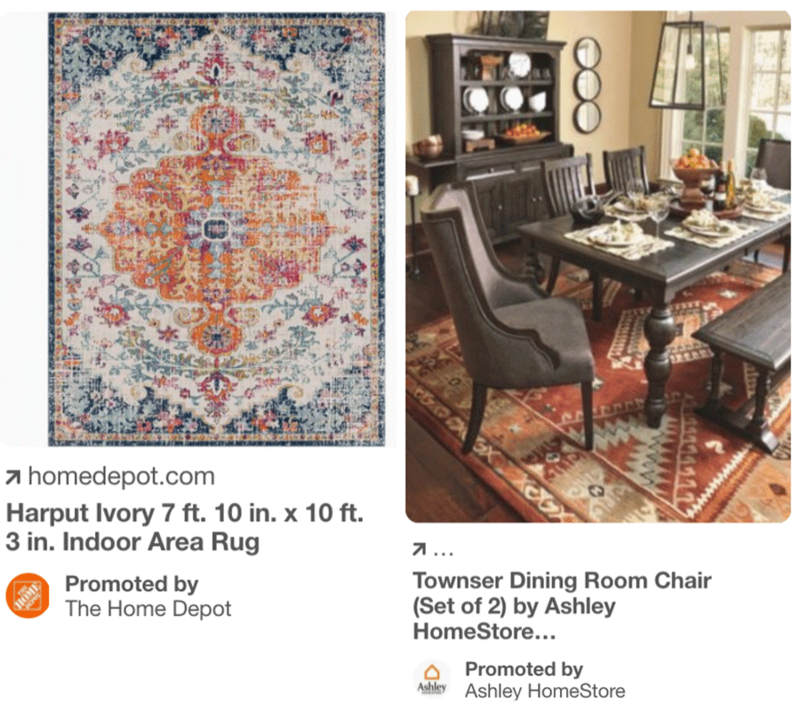 I did a search for “Rustic Home Decor” and found two rugs from Home Depot and Ashley Home Store. To me it is all too obvious that the one on the right has MUCH more chance to be saved or clicked EVEN THOUGH it is an ad! If you follow Etsy’s newsletters or editors picks, they are almost always exclusively lifestyle photography shots. That one on the top left was the ONLY one on this page, all the other ones were some kind of lifestyle shot (even a simple one like the pink capped bath bombs with a simple gold ribbon in the back). Let’s talk about the elephant in the room… my picture at the top where the candlesticks are in a VERY busy shot. The right candlestick is visible and the left one is all in a mush. Is this a great picture to sell candlesticks, probably not, unless the person who wants to buy a weird pair of candlesticks happens to see it! But it does help people find my profile and like my pictures. Taking that picture took about an hour from start to finish… that is a REALLY long time in comparison with popping them into a lightbox and doing a white background picture. I think the fun little bath bombs above are a great mix, still white background, probably in a box, but added that little piece of gold behind it to add a little bit of interest. If you hate taking picture and would rather spend your time networking and making connections online, then don’t bother with lifestyle pictures. If you like doing lifestyle pictures start small, add a few little things into the pictures. KNOW that your pictures will not be pretty when you start and that you will look back and think, “wow I thought that was good?!? !” but they will get better! This top picture is one I took a little over a year ago and the one on the bottom was from yesterday. 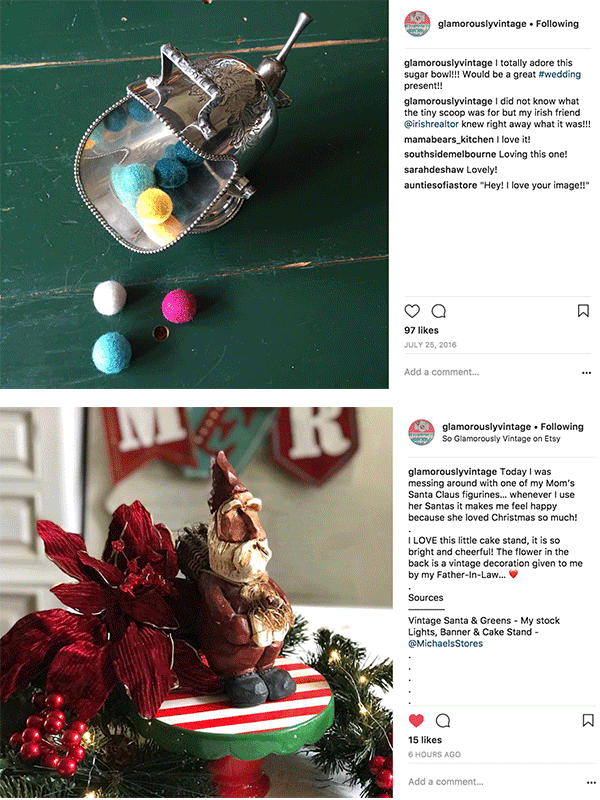 Now, they might not be your cup of tea, but for sure my styling and composition have gotten MUCH better, just by taking more and more pictures. Craft photography fundimentals course by Candace Stringham – the course that changed my photography life! Check out all my Product Photography posts!